Mouillage De San Pedro. No. 12. (with) Mouillage De La Mission De Sta. Barbara. No. 13. Publie Par Arthus Bertrand. Voyage de Mr. Duflot de Mofras. Street Map of Long Beach and Los Angeles Southern Section. 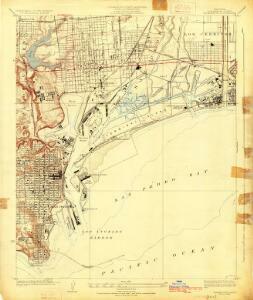 Map of Los Angeles Historical and Recreational.